With a craze going around for white and black damask- I would like to introduce black on black damask, *swoon*. 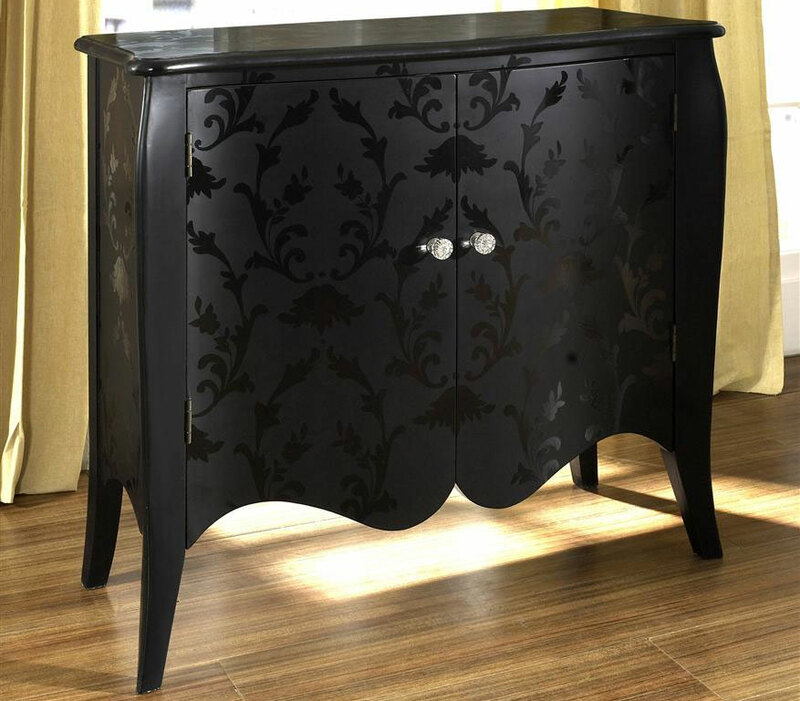 This elegant damask chest from Horchow is a beauty bombshell, packing style and drama. The two faux crystal knobs finish the chest nicely. The floral damask finish is my favorite part though, giving this furniture piece a surprising flare. Perfect for an entrance or as a buffet in a smaller dining room.